You take your blog that’s supposed to be centered around weight loss, and turn it into a “natural and nutritious” blog just so you can write about cloth diapers. You can’t wait to talk about cloth diapers with every new mom you meet. You honestly think cloth diapers are just as cute as baby clothes. 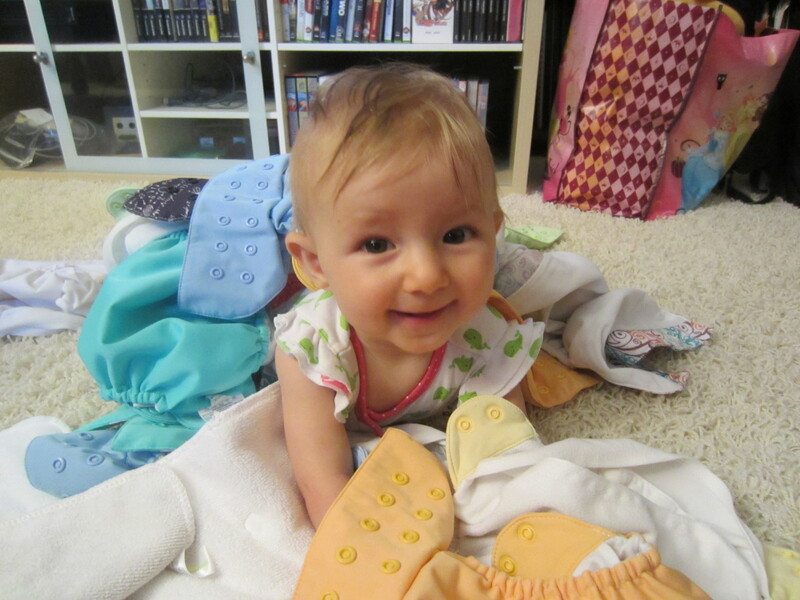 See…Ginny loves her cloth diapers too! Yep, that’s me alright. 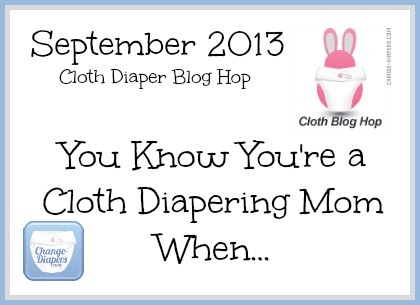 Feel free to add your own answer below (even if it pokes fun at cloth diaper moms, as long as it’s in good humor). Or, as always, if you have questions about cloth diapering, feel free to contact me at kathleen@sweetpeasandsoybeans.com. …When you have the nearly irresistible impulse to buy cloth diapers as baby gifts for expecting friends, even though they have no interest in cloth diapering, because you’re convinced if people just TRY IT they’ll convert immediately. Also because a prefold makes a great burp cloth or cleaning cloth, and a cover makes a cute diaper cover if it turns out you’re wrong on the whole conversion thing. …you have too many diapers for yourself, so you start thinking about who is going to have a baby soon so you can buy some for them. Oh my goodness, what an adorable picture! !